The Wordkeepers, the first book in a trilogy, is a gripping fantasy with two teenage protagonists and characters from Indian mythology. The prologue is the face-off between Arjuna and Ashwatthama after the Mahabharata war. The rest of the book is set in contemporary times, in 2028 to be precise. How would mythological characters fit into a story with modern teenage characters, I wondered. The mythological characters adapt and manage quite well. Kali (the lord of Kaliyug, not the goddess Kali) is in pursuit of Kalki, the tenth avatar of Vishnu. 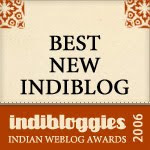 It is up to fourteen year-old Anya Sharma to protect Kalki, another fourteen year-old. A few of the Chiranjeevis have an important role to play. There is Ashwatthama, the cursed immortal, Parashuram and Vibheeshan. The author interweaves mythology and fiction, incorporates legend and lore, and a lot of imagination. The Wordkeepers is impressive for a debut novel. There is not one dull moment. I kept turning page after page, wanting to know what happens next. When I finished reading the book, I devoured everything about Ashwatthama that I could find on the internet. But I still had a few questions for the author. Jash Sen graciously agreed to answer all of them. ST: An IIMC graduate who has worked in IT and taught mathematics. How did the transition to writing happen? Jash Sen: I had wanted to be a writer for as long as I remember, but I stopped believing in my dream as I grew up. Life went on, but somewhere in the course of a particularly boring job in the US, I decided that I wanted to get back to writing. It was hard at first; I was very rusty. I changed track to teaching, which was a fresh perspective and a wonderful burst of energy and started writing. This was in London a few years later. But I couldn't complete, the stories weren't taking flight, somehow. In 2009, I returned to Calcutta and started writing in earnest. Coming back to my roots must have helped, because The Wordkeepers just poured out. 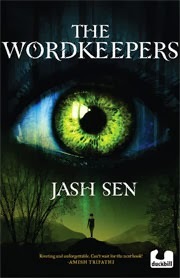 Why did you decide to write ‘The Wordkeepers’ for young adults? I didn't. I just wrote an adventure story. My publishers decided it was meant for young adults. I didn't consciously dumb down anything, but I knew I wanted pace in my story. Have you been doing school tours and events? What do Percy Jackson fans have to say about ‘The Wordkeepers’? I have, indeed. Now that I am promoting Skyserpents, the sequel to The Wordkeepers, I do a little talk on mythological animals from our mythology and we start off with a chat on minotaurs, chimera and the like. Then I describe Makars, Navagunjara, Sharabh, and other animals to the audience - which they absolutely love. There is so much to enjoy in Indian mythology - so many animals, so many worlds. When and how did you decide this was going to be a trilogy? Did you think through all three books before you began writing the first one? To what extent did you plot and what did you have to keep in mind while writing? When I started The Wordkeepers I thought I was writing a small ghost story about a giant eye watching this girl (the cover). Before I knew it, Ashwatthama insisted on being a part of it. So then the two had to meet. So there had to be a quest, there had to be Kalki, then suddenly Bilal was there, fully formed, this cricket loving, calm, quiet little boy. It was eleven thousand words. So I thought, okay, you are a thirty thousand word story. But then the world started getting richer and richer and I had Dhoomavati, The Skyserpents, the yaksha and one day when I had written about an entire diary fully - I said to myself, hang on, this cannot be one story. This is probably two stories. So go back and finish the first. It was when Duckbill signed me up that I realised I would have to give them the whole story, that is, all three books, as an outline. So I asked them for a month and planned out the whole thing. It was a three book kind of story eventually. How long did you research? How much of it has gone into the published book? The mythology? All my life, I guess - I'm rather into mythology from different cultures, it is a bit of a hobby of mine. Some of it has gone in, mostly as characters I found interesting or as mythological creatures and beings. I had only one rule - I would talk about gods and goddesses and creatures that weren't usually centre stage in mythological tales, there would be more scope to imagine and invent there. So, not Balram himself, but Balram's impetuous nature, yes. Not Lakshmi, but Kuber. And so on. I thought the eccentric goddess Dhoomavati was your own invention. I was quite surprised to find that she does “exist”. Similarly with the Jangil tribe. Now I’m wondering about the ‘gateway to the red planet’! Is that based on legend or is it completely fictional? No, no - I made that one up! I like to make things up - thank goodness I'm a storyteller or else I'd have felt compelled to make stuff up in real life, which as you know, is not very nice! The wordkeeper is a girl; Bilal is raised as a Muslim in an Andhra Naxalite village. There is also a Christian camp coordinator and a Third Gender Task Force. Were you conscious about being inclusive? Not really. One of the nice things about growing up in the 80s was that this was all completely normal - we never felt we needed to make any grand statements about religion and gender. If you're a tough little cookie, you're a tough little cookie - as Anya is. It doesn't matter whether she is a girl or a boy. The second book in the trilogy was launched recently. Do any of the other Chiranjeevis make an appearance in ‘The Skyserpents’ or the third book? Without revealing too much, can you tell us about ‘The Skyserpents’? It starts with Anya attempting a daring rescue of her mother. My lips are sealed after that. Have you written the third book already? What next? Heavens, no! But I must get cracking on it. Next? Who knows? Something different, I hope. I'd like a bit of a change. The history of Bengal and the North-East is my current obsession - perhaps something from there? Enjoyed every word. Can't wait to grab a copy. Wordkeepers - what an inspiring title that in itself is! "Why did you decide to write ‘The Wordkeepers’ for young adults? I didn't. I just wrote an adventure story. My publishers decided it was meant for young adults. I didn't consciously dumb down anything, but I knew I wanted pace in my story."